The publication of a collection of 1900s postcards inherited by the Watt family makes available a previously unknown resource valuable to scholars of the early 1900s. The collection will serve researchers with interests in postcards, depictions, photography, and printing processes, and those interested in early twentieth-century society—both the individuals depicted in the postcards and the people who used these cards for correspondence. These two albums were collected by a Scottish traveller, Miss Dunlop, throughout her own travels, as well as the relatives’ peregrinations. 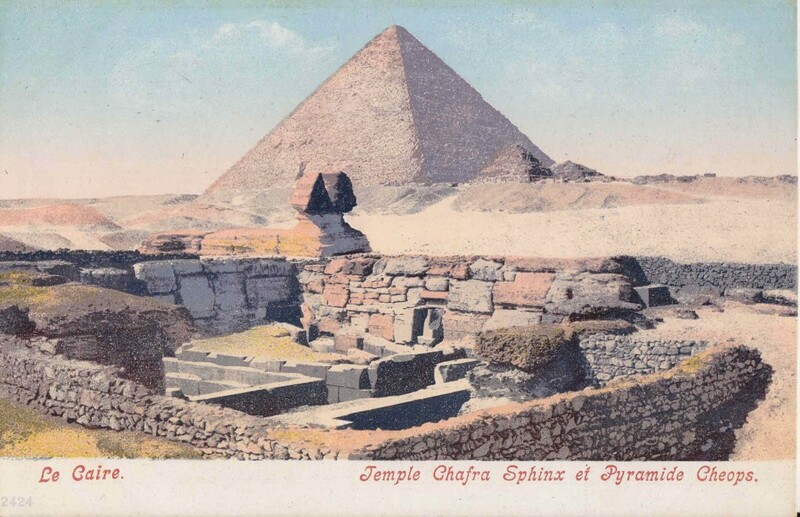 Postcard 1.16D: Egypt, Giza, Khufu pyramid and the Sphynx temple. From New Zealand to Ayrshire (Scotland), postcards were collected and stored with care. On this page, only a few cards are highlighted, while all of them are in the searchable database made available. The collection is enclosed in two leather-bound albums, which are in a fairly good state of preservation, containing nearly 600 postcards inserted in the album pages. 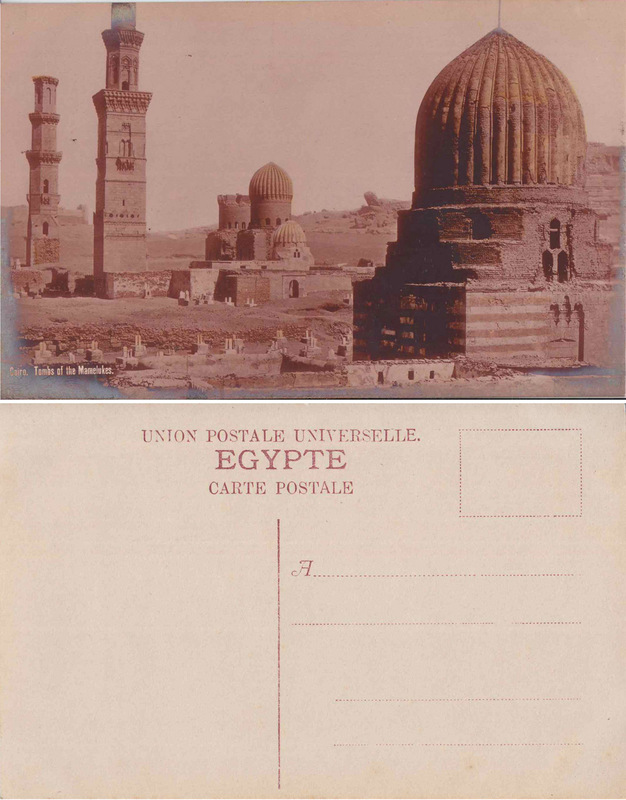 The postcards are referenced according to the album volume (1 or 2), page number (1-99) and location on the page (A-F).